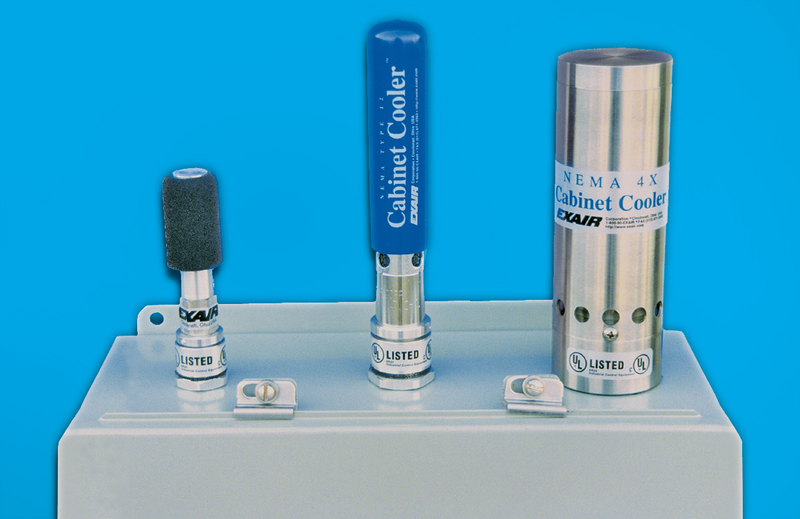 EXAIR Cabinet Cooler Systems are rated to NEMA 12, 4, and 4X. But what does that actually mean? NEMA stands for National Electrical Manufactures Association. This organization, founded in 1926, sets standards for the manufacture of safe and effective electrical products. It is an ANSI-accredited standards developer and, as such, has much credibility in the industries it serves. Many companies require or encourage the use of NEMA-rated equipment. Not having it may limit a company’s access to certain markets. In that testing, if required, is not too involved, achieving a rated unit is actually quite doable and, in the long run, worth it for safety-sake. NEMA-rated enclosures are about controlling a substance’s ability to either enter or exit an enclosure protecting electronics. Keeping you, and the electronics, safe is what this is all about. NEMA ratings are 1 through 13 with EXAIR’s cabinet cooler systems meeting NEMA 12, 4, and 4X. To be rated NEMA 12, the enclosure must be built in such a way to prevent solid contaminants like air-born dust, dropping dirt, fibers, fly-off shavings, and lint from getting inside. It must also prevent dripping or slightly splashing water and oil and non-corrosive coolants from seeping, spraying, or being splashed into it. NEMA 4 must be resistant to splashed or sprayed water and rain, sleet, or snow and not be damaged by ice forming on the outside. 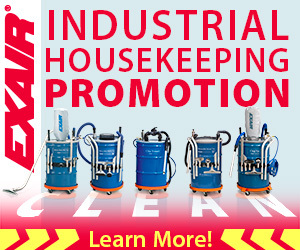 It must also prevent entry of solid contaminants like dust and dirt. NEMA 4X is identical to NEMA 4 with the addition that the enclosure must be corrosion resistant. 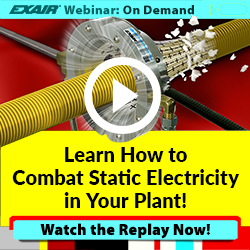 How does this apply to EXAIR Cabinet Cooler Systems? With our UL listed NEMA rated Cabinet Coolers, we can cool your cabinet and maintain its original enclosure integrity to protect your electronics just as needed. Our NEMA 12 cabinet cooler system is ideal for general industrial environments. Our NEMA 4 cabinet cooler system incorporates a low pressure relief valve for both the vortex tube and the cabinet air exhaust that closes and seals when the cooler is not operating to maintain the integrity of the NEMA 4 enclosure. Our NEMA 4X cabinet cooler system has the same low pressure relief valve as the NEMA 4 and is made of stainless steel, allowing for protection in corrosive and/or wash-down environments. To further enhance their effectiveness, EXAIR offers thermostat controls to turn the units on and off as needed, which conserves compressed air. They are available with a simple thermostat (120V and 240V), an electronic temperature control or ETC thermostat (120V and 240V) which is adjustable from outside the enclosure and provides feedback of the internal temperature. Other models include a non-hazardous purge thermostat control, continuous operation, and high temperature versions that comply with NEMA 12, 4, and 4X ratings. We can meet cooling capacities (Btu/hr) at 100psig ranging from 275 to 5600. To assist in determining which system will work in your cabinet, a sizing guide is even available on our website. If you have a cabinet that needs cooling and it is rated to NEMA 12, 4, or 4X, let us know how we can help. Chances are pretty good we can provide the cabinet cooling system you need.